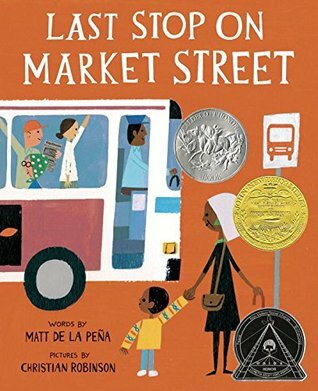 Despite being a picture book for young readers, Last Stop on Market Street, by Matt de la Peña, won the Newbery Award, a rare event that shocked the reading community. 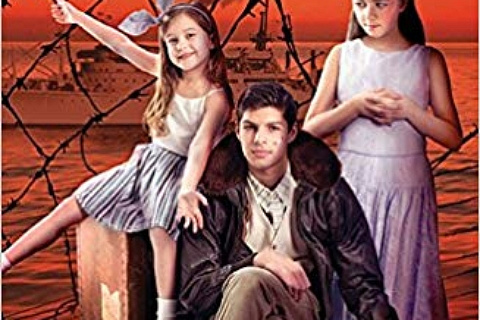 A picture book hasn’t won in ages and, because of this, no one in my class won our Newbery Medal guessing competition because we never saw it coming. But after reading it, I’m shocked that nobody in our class saw it coming, how I didn’t see it coming. 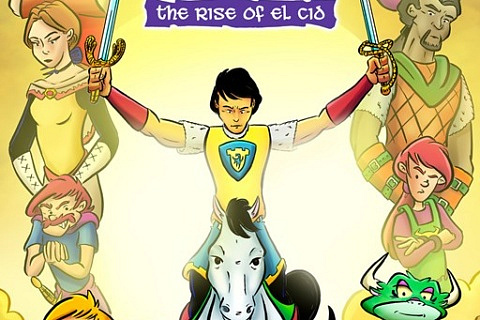 CJ is a little boy, who is about to embark on a bus ride that will change his outlook on life. Every Sunday, after church, he and his Nana ride the crosstown bus down Market Street. The problem is that CJ wants to ride in a car, like his friends, instead of waiting for the bus in the rain and many other things that he can’t do because of lack of money. But Nana, old and wise, shows CJ the beauty of their world, even when parts seem dreary. Books aren’t just good because of the story they tell, but because they’re relatable to our own lives. I picked this book up after a trip to Portland, OR, a beautiful city dealing with a severe homelessness crisis. 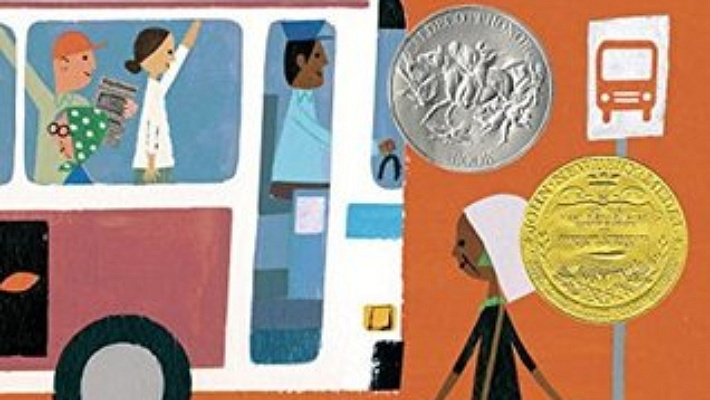 Because of this experience, I could see beyond Christian Robinson’s Caldecott-winning artwork. I could see Market Street, from the distinctive characters on the bus to the man pushing his belongings in a shopping cart down the street. I could smell it, the weird smells and the smell of fresh rain. I could hear it, the doors of the bus opening and shutting with cars honking in the distance. Most importantly, I could see it through CJ’s eyes, because he feels so real. So when CJ complained about his circumstances, I could understand his frustration, yet appreciate Nana’s wisdom and see where she was coming from. Last Stop on Market Street is great for many other reasons too. CJ is very realistic, as I said above. He asks questions that our generation of kids would ask in or out of that situation, such as, “Why can’t I have a IPod?” He whines and complains like many kids I know (me, again) and he uses slang, something that I often do, too. Another reason is Nana’s sage words. Her words are so poetic, fluid, and real. My favorite line of the book comes from her: “Sometimes when you’re surrounded by dirt, CJ, you’re a better witness for what’s beautiful.” She interacts in such an inspiring way with people that it makes you think differently about your own interactions. If all the awards and high praise haven’t convinced you to read this book, here’s some food for thought: Every city has its troubled areas, whether small, maybe like your city, or big, like Portland, OR. In this particular case, it’s Market Street. Now it’s not like CJ and Nana have to go to this part of town. Nana doesn’t care about their financial situations. She just wants to talk to these people and bring some kind of joy to their lives. We can learn from her actions and, if for nothing else, she is the reason to read this book. Last Stop on Market Street is a short, yet sweet book that everyone should read once in their lives. 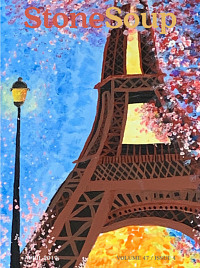 Last Stop on Market Street by Matt de la Peña. G.P. Putnam’s Sons Books for Young Readers, 2015. Buy the book here and support Children’s Art Foundation-Stone Soup in the process!